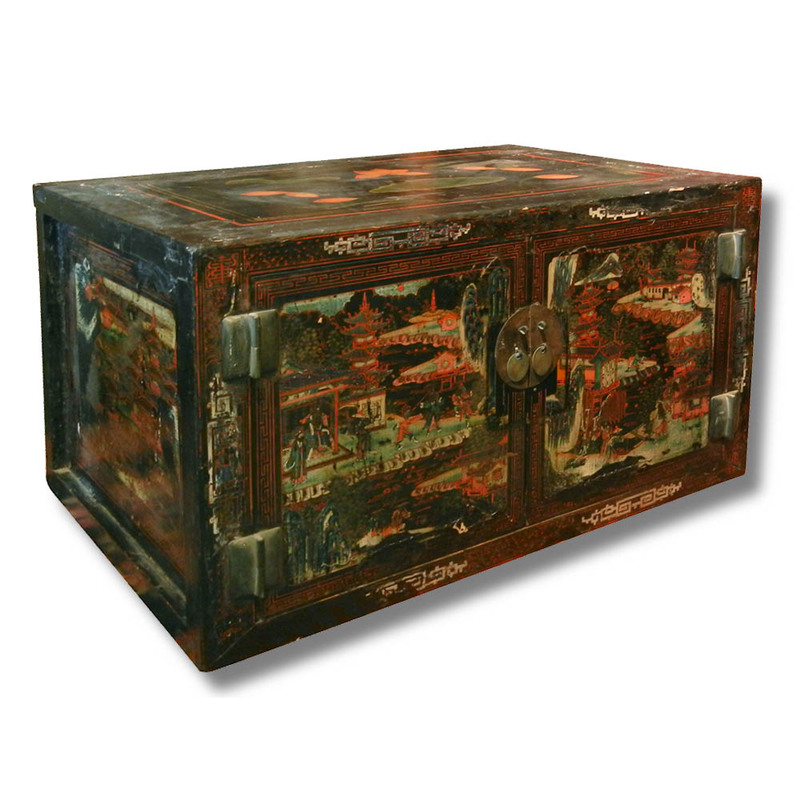 Large size antique Shanxi painted lacquer book chest with very fine and elaborate original paintings painted with gilt and beautiful organic color pigment from the mineral and plant source. The landscapes consist of river and layers of pavilions leading to the distant mountains with groups of figures in activities at the front and the middle part of the paintings. 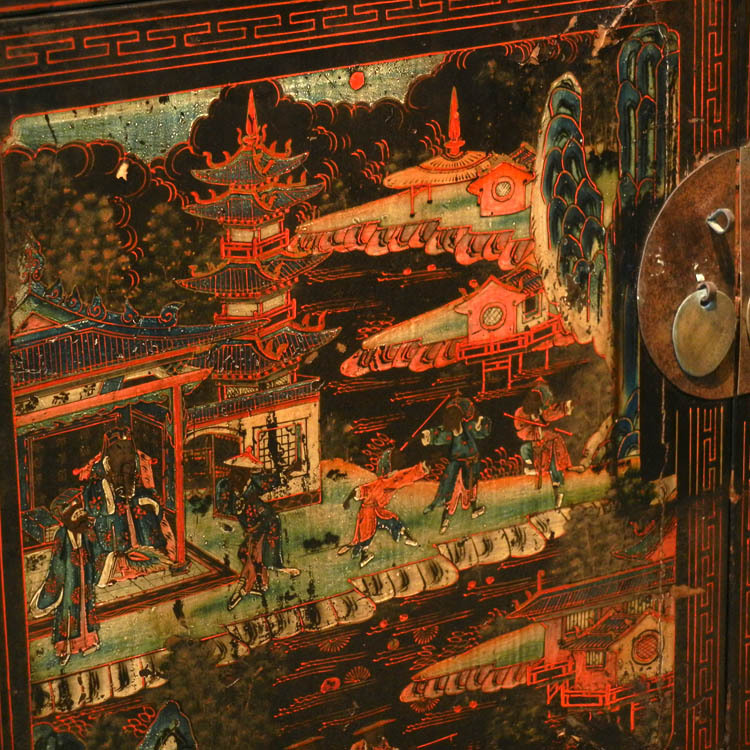 Repairs on the lacquer. 19th century.